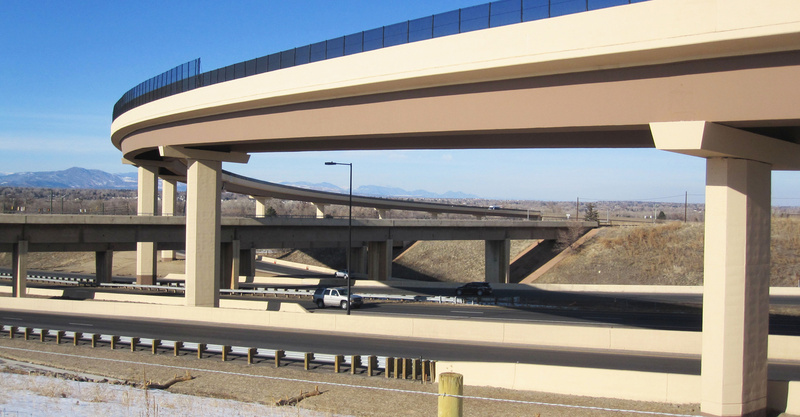 RS&H teamed with Kraemer to provide a new connection between southbound Santa Fe Drive (US 85) and eastbound C-470 in Littleton, Colorado. 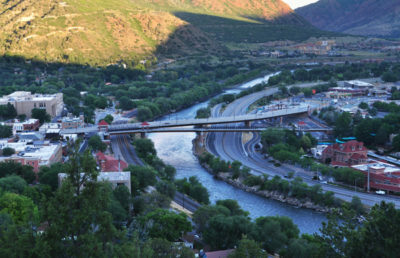 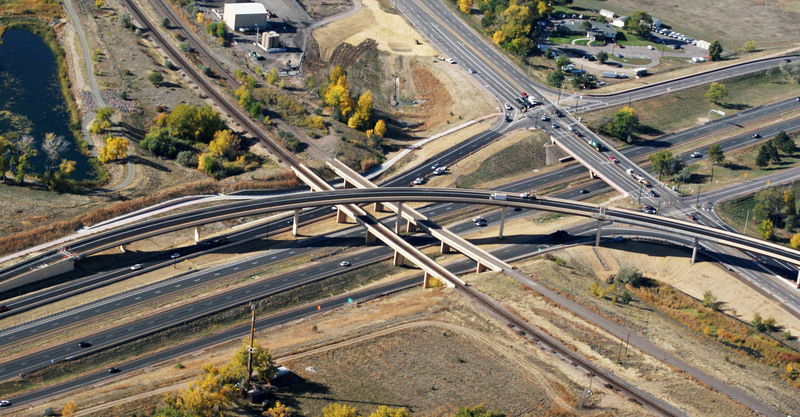 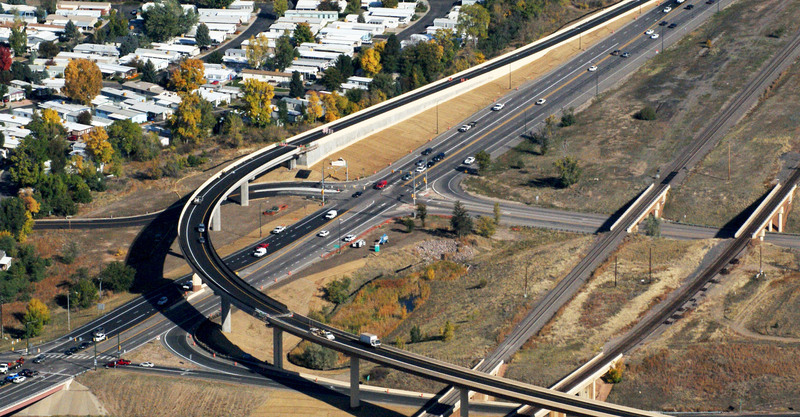 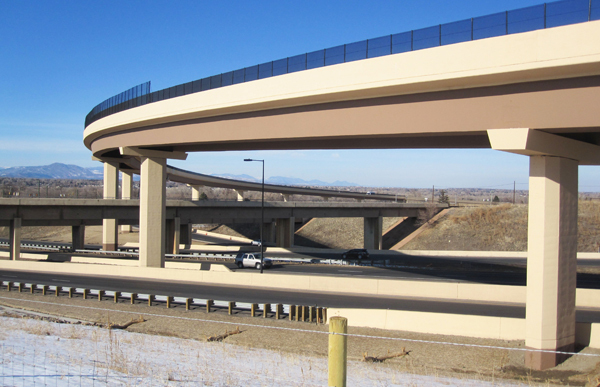 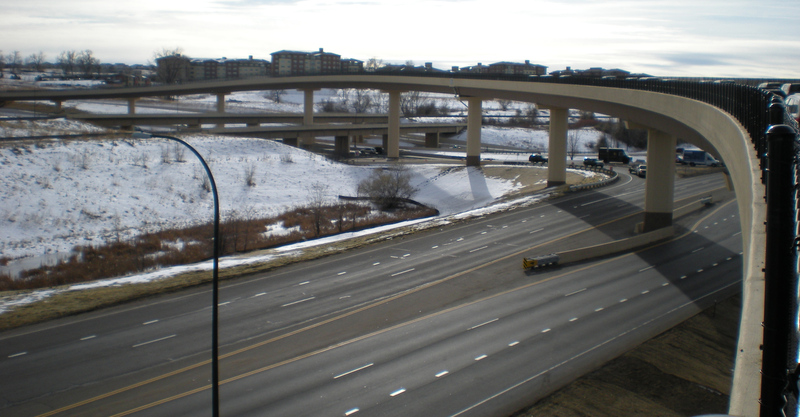 The flyover bridge spans Santa Fe Drive, C-470, Wolhurst Street, a UPRR bridge, and a BNSF bridge and reaches a maximum height of nearly 70 feet. 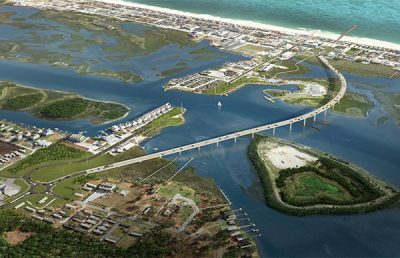 The bridge utilizes 12 spans with a total length of 1,728 feet and was constructed on an 888-foot horizontal radius. 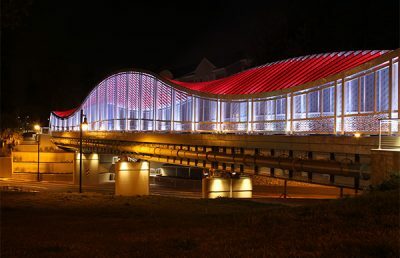 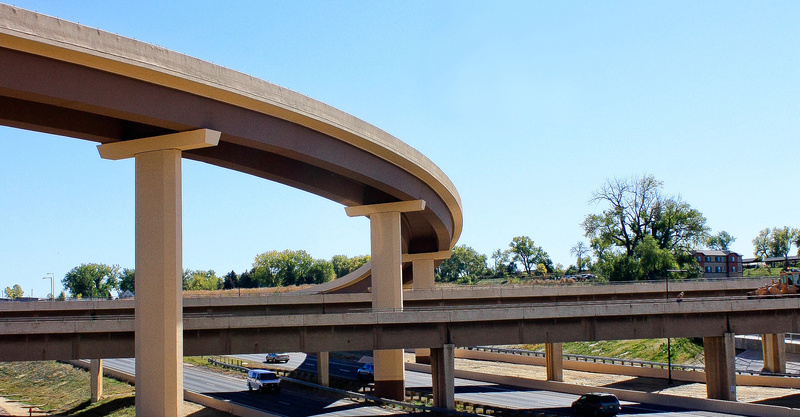 RS&H worked with Kraemer to value engineer a solution using accelerated bridge construction techniques and spliced girder technology to reduce the cost over $2 million below next lowest bidder. 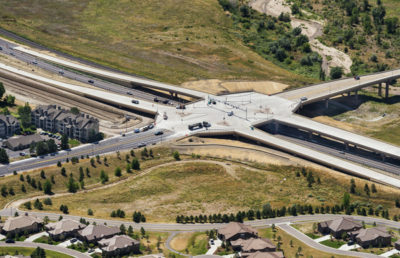 The design, which minimized the impacts to the UPRR and BNSF railroads and the traveling public, allowed construction to be completed 5 months ahead of schedule. 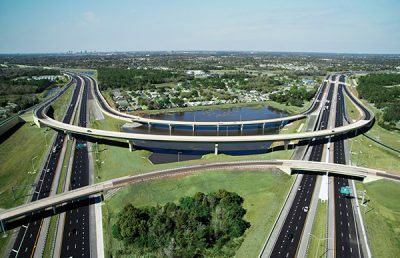 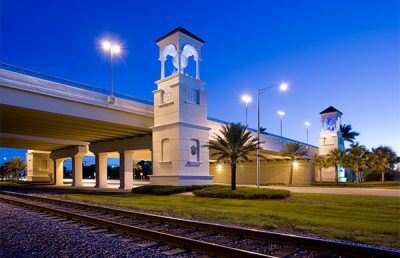 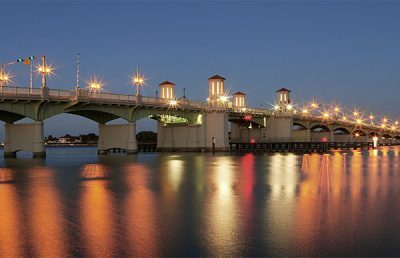 This state-of-the-art design used curved, spliced, precast U-girders that featured two major innovations in this evolving technology; precast pier caps and yard casted girder lid slabs. 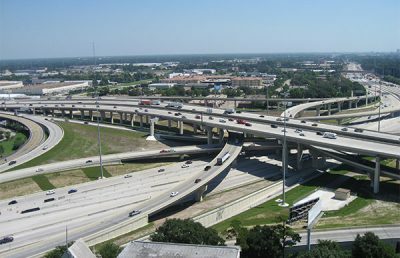 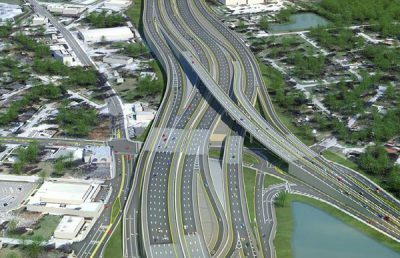 Together, these innovations reduced lane closures and costs by eliminating a combined 36 nights of traffic control as compared to conventional techniques. 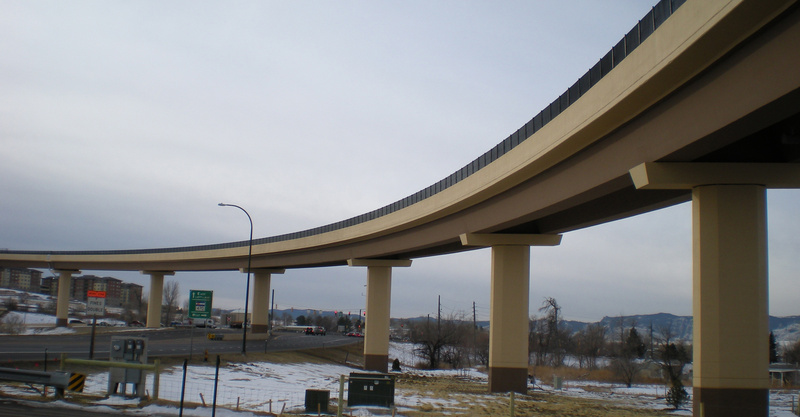 The use of permanent mono-strand post-tensioning in the girder segments was also a first-ever application within this technology, streamlining girder fabrication and further reducing project costs. 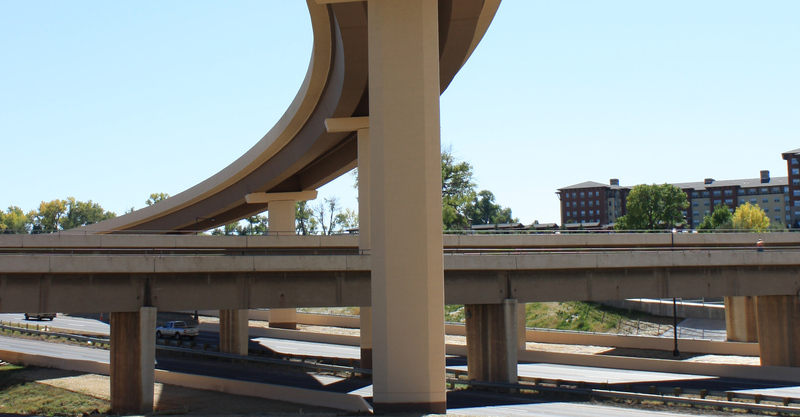 During construction, RS&H performed falsework and girder erection inspections and field certifications. 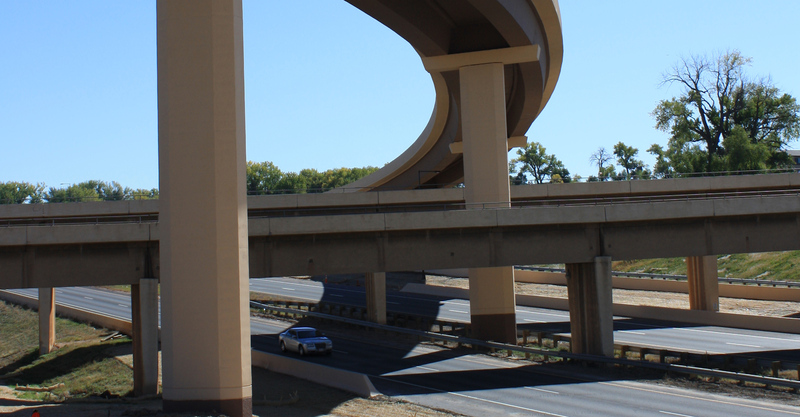 Staff was on-site for all girder erections, which included erecting curved (888-foot radius) precast tub girders between, around, and over multiple levels of existing RR bridges. 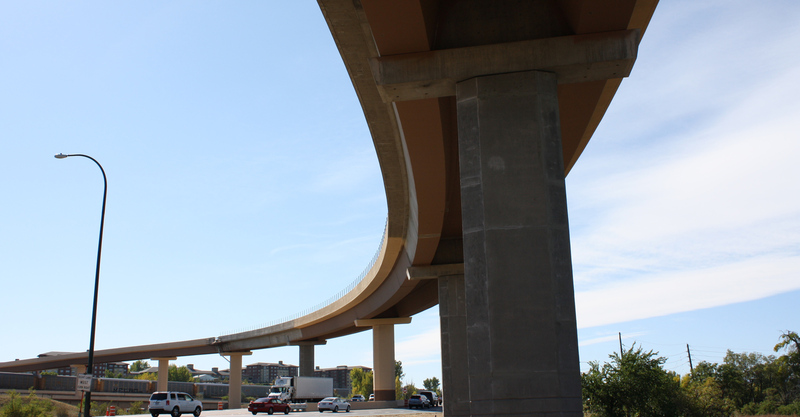 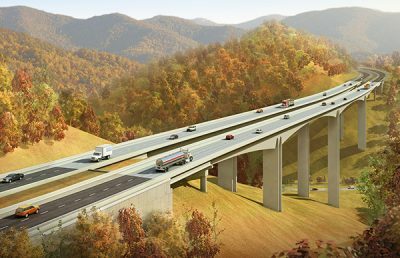 RS&H was responsible for approving on-the-spot changes due to differing site conditions and recognizing more efficient and safer alternatives to accomplish the girder erections. 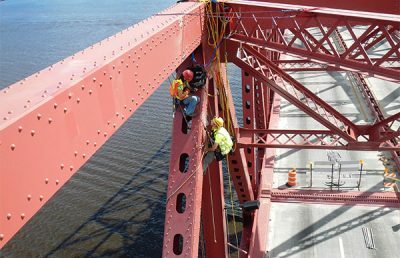 RS&H also provided oversight of the precast pier cap erections and post-tensioning operations, for the girders and pier caps.